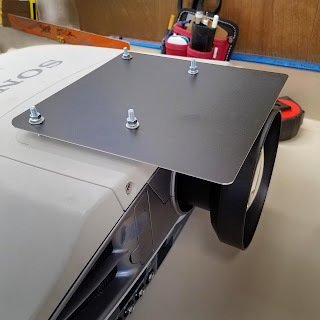 Part of the fun of a maker shop is getting to build very odd, very custom products. 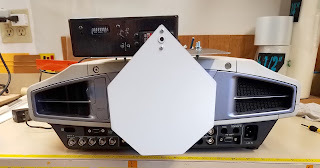 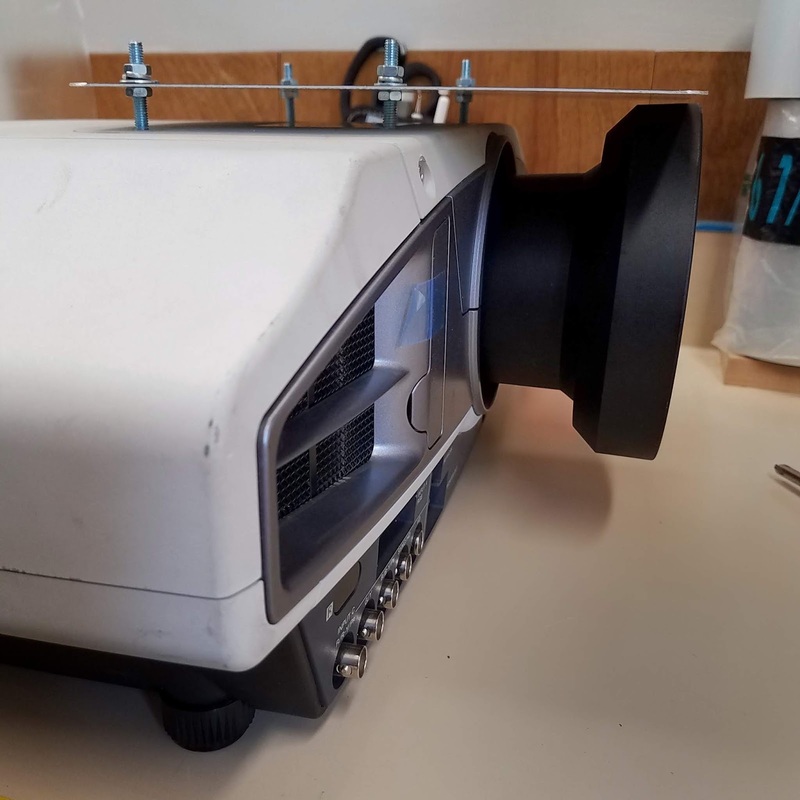 Here were adapting a generic-sized projector dowser for a decidedly non-generic projector. 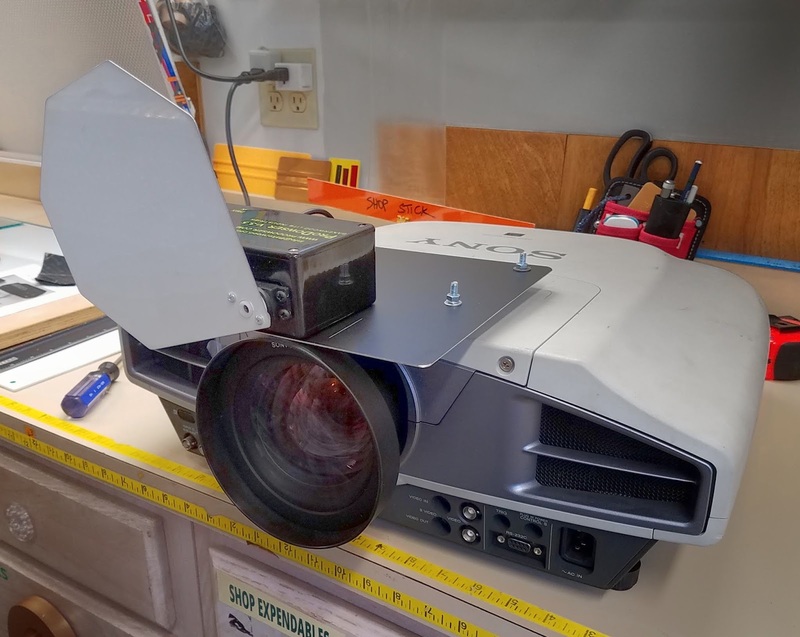 The backstory: Inexpensive digital projectors are used on shows everywhere but they have a problem that is difficult to overcome: when they fade out, they still project light - called “video black” . 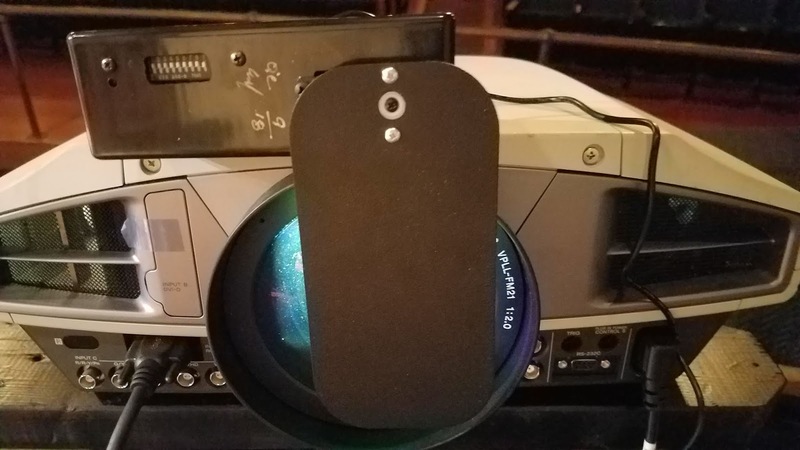 This small amount of light is easily visible during a stage blackout and a "dowser," was developed to contain this light.